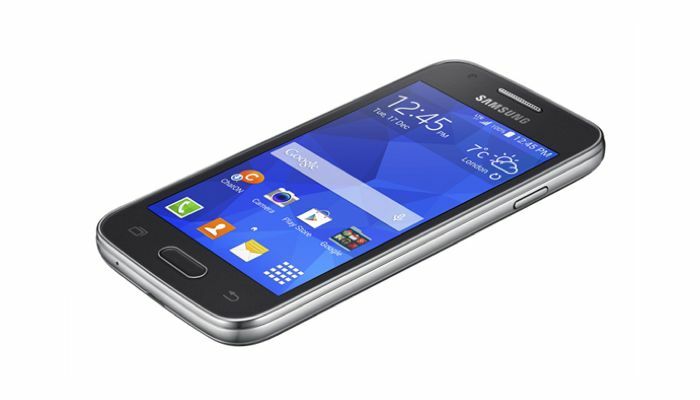 As well as announcing the Samsung Galaxy Core 2, Samsung also unveiled another Android device, the Samsung Galaxy Ace 4. The handset is equipped with a 4 inch WVGA TFT Display. The Samsung Galaxy Ace 4 will be available in both 3G and 4G LTE versions, and each device will come with slightly different specifications. The 3G Galaxy Ace 4 will come with a dual core 1GHz processor and 512MB of RAM, it will also features 4GB of built in storage, plus a microSD card slot that will support up to 4GB cards. 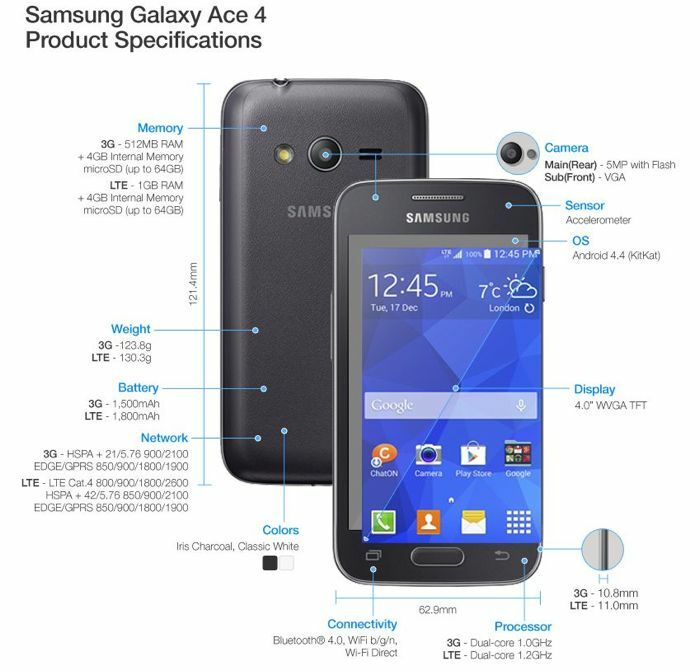 The Galaxy Ace 4 3G will also feature a 1,500 mAh battery, and front and rear facing cameras, on the front of the device will be a VGA camera, on the back there is a 5 megapixel camera. The Samsung Galaxy Ace 4 LTE will feature a dual core 1.2GHz processor, this version of the handset will come with 1GB of RAM and 4GB of included storage, there is also a microSD card slot for expansion. The Ace 4 LTE will also come with a 1,800 mAh battery, plus a front facing VGA camera and a rear facing 5 megapixel camera, both versions of the handset will come with Android 4.4 Kit Kat. As yet Samsung has not released any details on when the new Samsung Galaxy Ace 4 will be available, there are also no details on pricing as yet.